New Orleans has always been at the top of my bucket list of U.S. cities to visit. So, when I heard that campus ministry was hosting a winter break service trip there, I jumped at the chance! The trip would be a weeklong community service adventure with of my five fellow students and our two fearless leaders from campus ministry (shout out to Lisa and Dani!). Spring break is a time when many students travel to tropical islands for a week-long adventure, while several others venture back home for a relaxing time with family and friends. In the past, I’ve had both types of experiences, so for my final spring break, I decided to try something a little different. I had heard about an interfaith service trip to New Orleans, and while I’m not actively involved with a religious group at Juniata, campus ministry welcomed me with open arms. Although I had always heard about the destruction caused by Hurricane Katrina, I thought that after 11 years the city would be restored. Although most areas of New Orleans have recovered nicely, the Lower Ninth Ward has not fully recuperated. While in New Orleans, I, along with 17 other Juniata students, worked with an organization called Capstone, which aims to provide the citizens of the Lower Ninth Ward with free community gardens. To help out, we weeded, planted, and watered the gardens; constructed and painted boxes for honey bees; cleaned and fed goats and chickens; and helped with other jobs as needed. 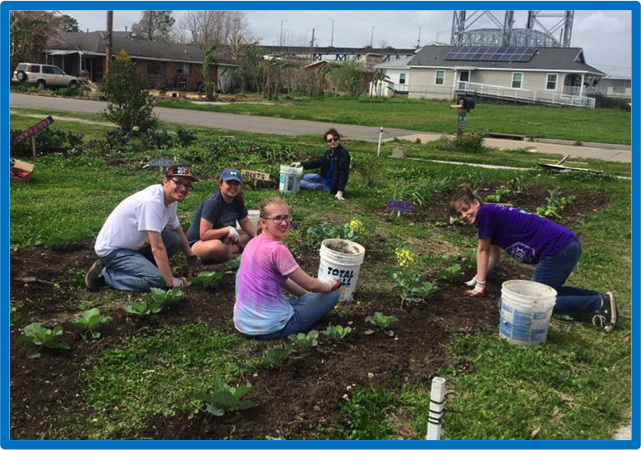 Juniata students weeding one of Capstone’s community gardens located in the Lower Ninth Ward. Since this was also an interfaith trip, we explored and discussed different religions, such as Judaism, Christianity, and Unitarian Universalism. Additionally, we were able to learn about the culture of New Orleans by talking with local citizens, eating beignets at the famous Café du Monde, visiting a Mardi Gras museum, and touring the renowned Saint Louis Cemetery. 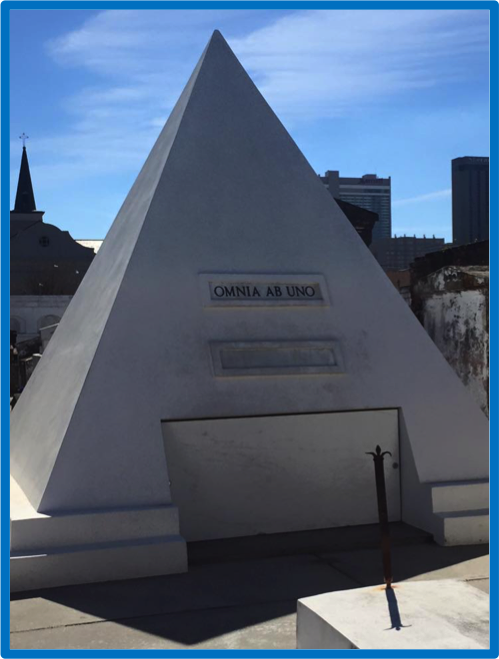 The future tomb of actor Nicholas Cage, located in the Saint Louis Cemetery. Lithuanian-American writer Ruta Sepetys once said, “New Orleans is unlike any city in America. Its cultural diversity is woven into the food, the music, the architecture—even the local superstitions. It’s a sensory experience on all levels, and there’s a story lurking around every corner.” After experiencing New Orleans first-hand, I could not agree more. 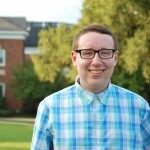 The Secular Student Alliance is a newer club on campus that offers Secular students a community to discuss and debate their ideologies and beliefs. The Secular Student alliance on campus is a group of secular students with secular ideologies. The word alliance implies the word community and that is what this club is trying to create. It is trying to create a community for secular students here on campus. 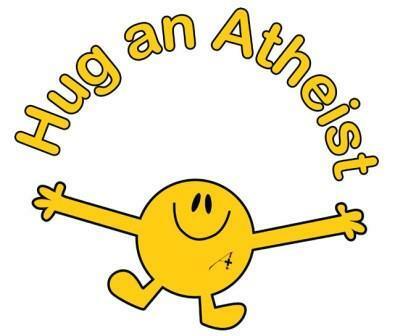 Recently, they showed a documentary entitled Hug an Atheist, which provided a very humane look to Atheists in an attempt to break common stereotypes. 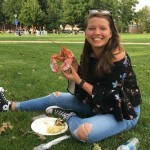 This club, like many others on campus, is trying to establish a community or a safe place on campus for students who are different from the stereotype. 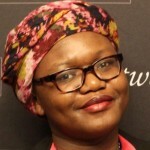 The Secular Student Alliance wants secular students to come and talk about what they believe in, and they welcome students who do belong to an established religion. They want to abolish the stereotypes that are out there about individuals who are Atheist, Agnostic, or who are not afflicted with the Church. I believe this is a good example of how Juniata, or more importantly Juniata students, try to incorporate as many different people in to the Juniata community as possible. Despite the most noticeable demographics, Juniata College is pretty diverse. There are people from different ethnic backgrounds, countries and cultures, socioeconomic classes, religions, hometowns (cities versus small towns), and personalities. This type of diversity presents a variety of issues because of what I have personally pinpointed as lack of exposure. Just as some people ask “stupid questions” about my hair or look at me weird for walking around most days in outfits that to some of my peers seem too dressy, I ask “stupid questions” about animals I had never seen or the deer hunting culture that is so prevalent in Huntingdon. Juniata has an entire office, the Office of Diversity and Inclusion and Campus Ministry, that is housed in the Unity House, dedicated to helping with culture shock, understanding our unique community, and is a great resource for support. There are always discussion panels that various clubs and offices hold during the school year that is essentially an open forum to discuss specific topics of differences. I love the fact that at Juniata, there is a yearning for growth and knowledge, and it is displayed by the good turnouts to such events. One of my favorite series that Juniata has is the Beyond Tolerance series. The Office of Diversity and Inclusion brings in guest speakers and performers to do workshops with students, staff, and faculty. This year, some of the programs include African American Historical Trauma, an alumni panel discussing various forms of diversity and how their time at Juniata has positively effected their current careers, women’s rights and advancements, and urban activism and its toxic effects. By attending such events, you can be eligible to receive a P.E.A.C.E Certificate. It is a nice acknowledgment of your desire to be a more well-rounded citizen and the certificate is even signed by the President of the school. I was so excited to receive my Bronze level last year, after attending six events and I hope to work my way up to Gold before I graduate. My Memorial Day weekend was spent crammed in a van with eleven other people, running through torrential downpours and therefore having my shoes in a constant state of sogginess, and having one scary experience with a groundhog. And I have to say, it was one of the best weekends ever! 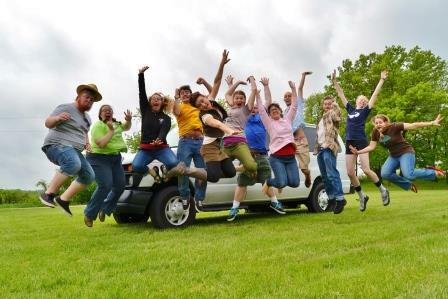 I traveled with a group of young adults to Camp Pine Lake, which is in Eldora, Iowa to be with other 18-35 year-olds of the Church of the Brethren for a weekend of fun, fellowship, and of course, four-square. I flew into Chicago to meet up with the group that I was traveling with, met up with a Juniata friend, and then it was off to Iowa! Unfortunately, it rained from the moment that we got out of the van at the camp and stopped a half an hour before we all climbed back into the van. However, that certainly didn’t stop us from having a fantastic weekend! We set up the four-square court with tape to the floor, picked our favorite hymns and worship songs to sing, and caught up with our peers in the denomination – discussing ways on how to stay connected to each other throughout the year and how we can make our voices heard in the denomination. 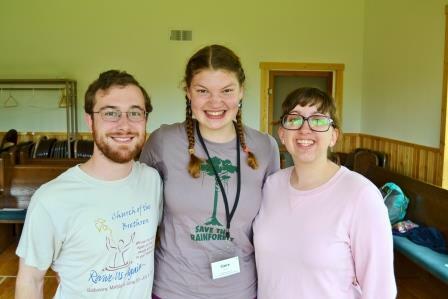 These experiences make me so appreciative of the historical connection between the Church of the Brethren and Juniata. Being apart of Brethren Student Fellowship at school has allowed me to be even more involved with the Church as a whole and get to meet a bunch of amazing people that I other wise may not have met! Oh, and the groundhog. 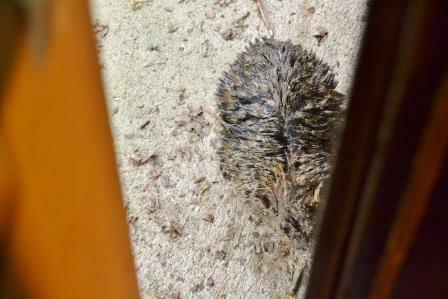 This poor little guy in an attempt to get out of the rain, parked himself right in front of my cabin door. I discovered this as I was walking back from the shower and didn’t have my glasses on and therefore, I wasn’t really sure what was in front of me. I’m not sure who was more startled by the others presence. At least he let me snap a picture of him!